The future of art is alive and well in Westport. The Bruce Museum is showcasing student works from Connecticut and New York. Its 8th annual “iCreate” exhibit drew more than 600 submissions, from 33 high schools. Three Westport students made the cut. Their work is among 45 pieces on display, now through August 12. 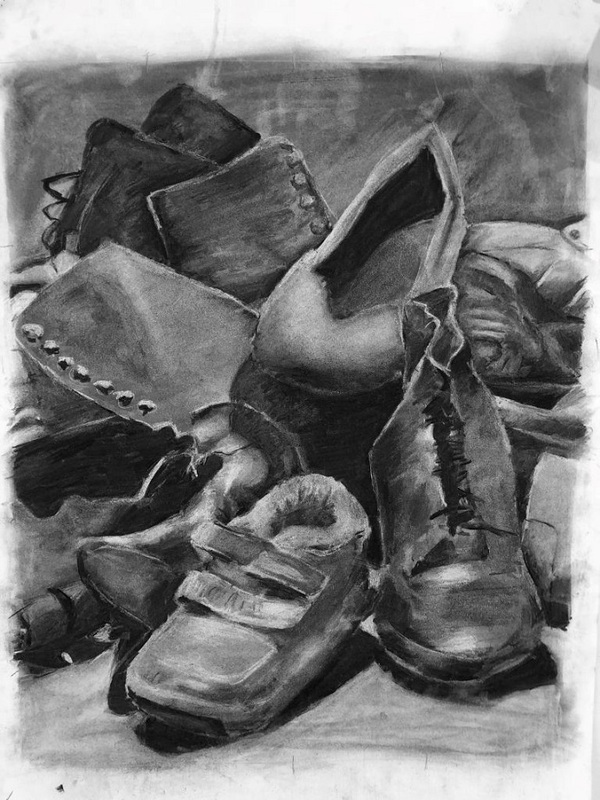 Henry Koskoff created “Still Life” as part of his junior year Advanced Drawing class at Staples High School. It portrays a pile of shoes, seemingly toppling over each other and illuminated from above. Movement and spatial relationships enrich the piece with life. “Still Life,” charcoal on paper by Henry Koskoff. 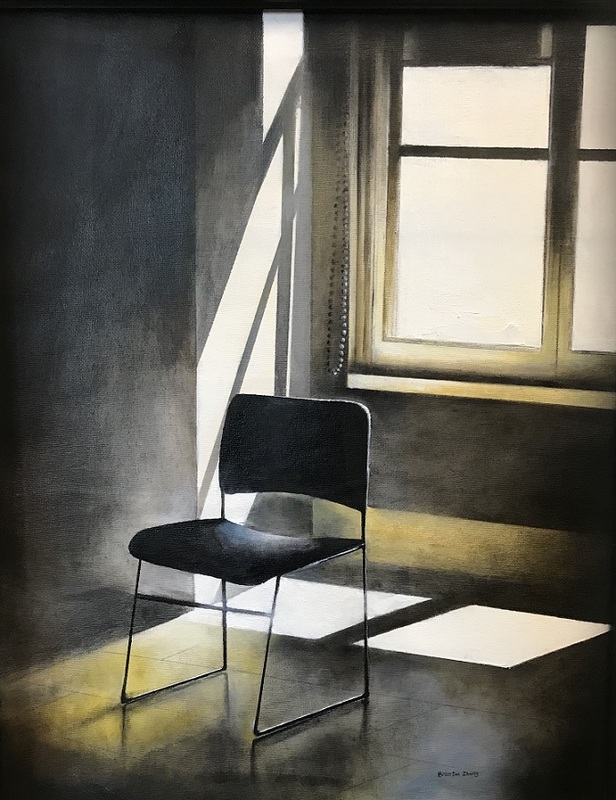 “Empty Chair,” oil on canvas by Branton Zhang. Recent Greens Farms Academy graduate Sophie Lewis has spent years sketching human faces. 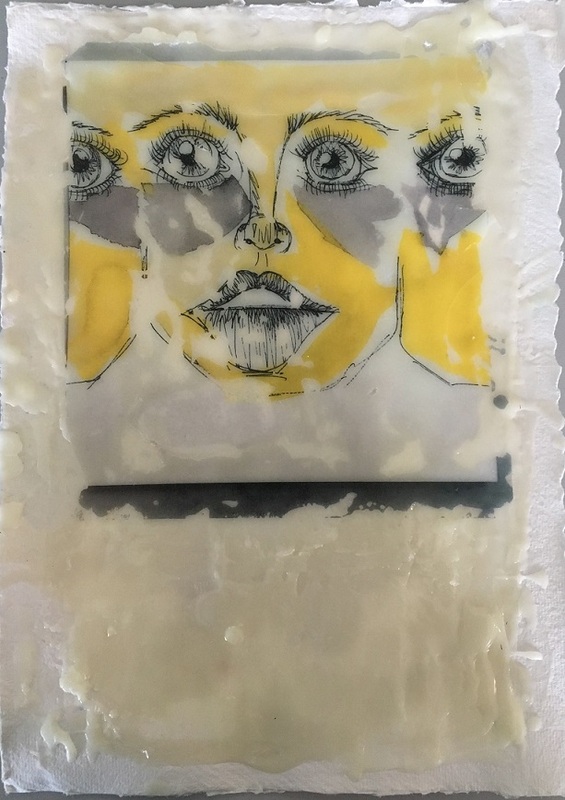 Her piece uses beeswax and ink to transform simple sketches into tactile, intricate and interesting works of art. Untitled, watercolor transfer on encaustics by Sophie Lewis. A People’s Choice Award will be announced August 5. Votes can be cast at the Bruce Museum. For more information on the iCreate exhibit, click here. This entry was posted in Arts, Organizations, Staples HS, Teenagers and tagged Branton Zhang, Bruce Museum, Henry Koskoff, Sophie Lewis. Bookmark the permalink. Remarkable talent in students, future Famous Artists of Westport. Just being chosen to participate is an achievement. We will all be cheering for you.